Do you share your working space, "hot desk", or have limited real estate in your office? 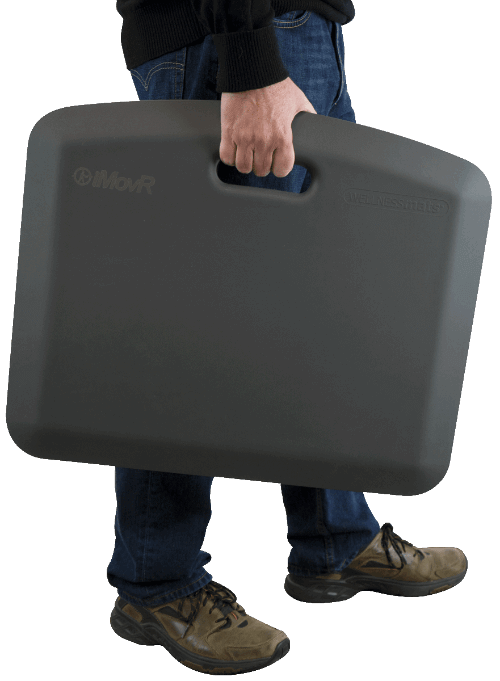 iMovR portable standing mats have the footprint, the weight, and the design to become your go-to standing solution regardless of where you're working from. The built-in handle makes this mat perfect for travel!